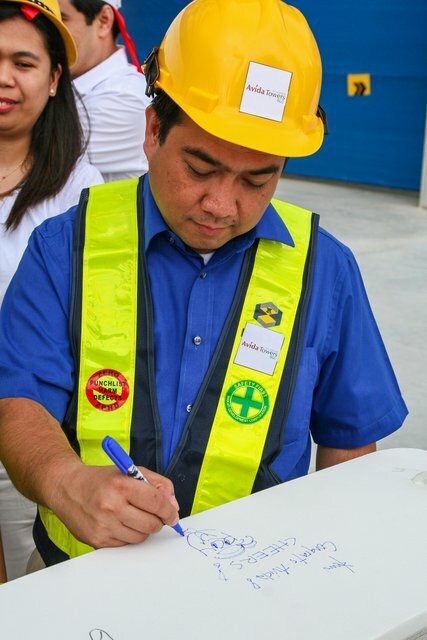 Avida Land recently celebrated the completion of the top floor of the Avida Towers 9th Avenue in Bonifacio Global City (BGC) with a topping off ceremony highlighted by the presence of the company’s top executives who, in their neon vests and hard hats, inked their messages on the aluminum bar that was formally lifted and raised to the building’s topmost floor. 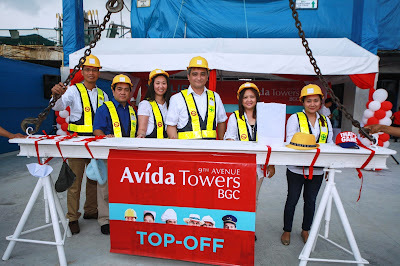 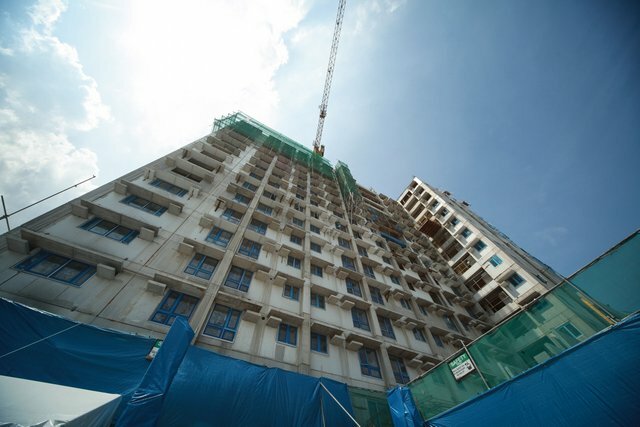 The first Avida development to be topped off in BGC, Avida Towers 9th Avenue is ready for turnover later this year and will also house Avida Land’s new office. This residential condominium complex within the uncongested Bonifacio Triangle is an ideal location that maintains the live-work-play balance with its convenient proximity to schools, offices and the wide range of commercial centers and retail establishments within the flourishing Bonifacio Global City community. (L-R) Avida Land Corp. PSMG Head Pol Tanco, CMG Head Roy Lachica, Chief Financial Officer Divine Lopez, President & CEO Chris Maglanoc, HR Head Roxanne Vasquez, and ASC Sales Manager Mai Garcia.